Evan Nehring: Does Preaching Matter to You? Does Preaching Matter to You? Yes, I would love to hear how important the Sunday message is to you. 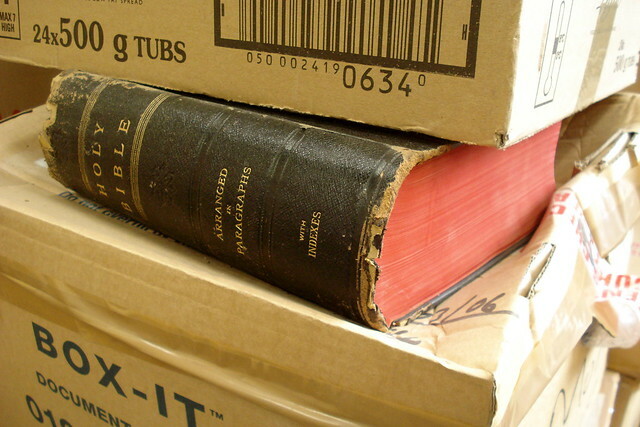 How important is a pastor who researches and presents God's Word carefully and powerfully? You could probably guess that solid, biblical preaching is very important to me. That said, choosing a church is a complex proposition, especially when there are dozens (or hundreds) of choices. In the Twin Cities, I remember people driving past ten or fifteen churches of the same denomination to get to their church of choice. Would you do that for good Sunday sermons? I might. Although, distance is important to me too. Preaching and theology are deal breakers for me. There are dozens of church we wouldn't even consider because they don’t meet the bar here. Salvation by faith, belief in the Trinity, the authority of Scripture in our lives: these are some of the basic non-negotiables. I’m deeply moved by good preaching. A faithful servant who reveals the heart of God through the stories and teachings of the Bible…priceless. A regular diet of the full counsel of God’s Word: I desperately want that for my family. As a student in Minneapolis, I went to the early service at Bethlehem Baptist Church many Sundays. Then I’d head down to Lake Street to take in Sunday School before playing bass for Sunday morning worship. This was an opportunity to hear world-class preaching. I have no regrets. Without a doubt, preaching matters. But as a whole, I need to know the talk is being walked and the love of Christ flows among the people! inchworming, such a great point! If the words don't flow from the heart of a faithful servant, they will ring empty or return with bitterness. Such a great point! Absolutely. Without faithful preaching, the vision of the Church and health of the church is lost! Justin, I'd love to see that faithful consistent vision thousands and thousands of times over! God let it be so!